SINGAPORE - Singapore will celebrate its 50th birthday this year in a spectacular way. Some people will have more reason to cheer than others as their employers have announced special gifts and giveaways to mark the nation's Golden Jubilee. Here are six employers who have offered their staff goodies for SG50. Singapore's flagship carrier announced to its staff in July that it will be giving them a special one-off payment of $500. The bonus, meant to express appreciation to staff and unions, will only be given to Singapore-based SIA employees below the rank of senior vice-president, and payment will be made in the August payroll. About 18,500 staff are eligible. All 8,000 OCBC staff will receive a special OCBC SG50 Nets Flashpay card, with $100 in preloaded credit. They will also each get four complimentary tickets, worth $80 in total, to Gardens by the Bay. In addition, they can enjoy a subsidised rate of $5 per ticket to Universal Studios Singapore, up to a maximum of four tickets. The usual price per ticket is $74. 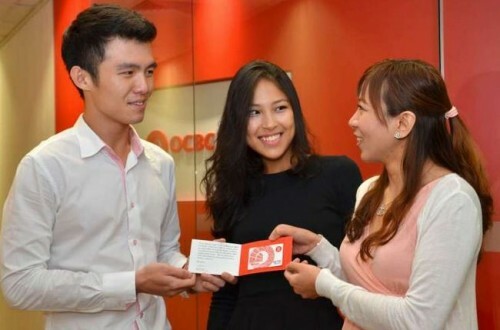 About 3,000 of OCBC's junior executives and unionised employees in Singapore will also each receive 100 OCBC shares. The stock was trading at $10.39 as at 9.45am on Monday. OCBC says this gift will encourage share ownership among these employees as they continue to contribute to the bank's growth. DBS Group Holdings will mark Singapore's 50th birthday by giving a $1,000 hongbao to each of its 18,000 employees. A report by the Business Times said the bonus, which will cost South-east Asia's largest bank $18 million, is also to mark the bank's milestone for reaching $50 billion in market capitalisation. NTUC's Social Enterprises will also be giving employees gifts. NTUC FairPrice announced that its 10,000 staff will receive vouchers of between $100 and $200. In May, SMRT gave all its employees shopping vouchers worth $500 each. About 82,000 civil servants will receive a one-off bonus of S$500. This is on top of a 0.5-month mid-year Annual Variable Component (AVC) payment in July. The one-off SG50 payment is "in recognition of their contribution towards nation building", PSD said in a news release in June.